I recently did a fashion inspired portrait session at Uptown Center in Michigan City with two of the gowns now being offered for rental during Senior Sessions and other Portrait Sessions. These dress rentals are going to be a great way to differentiate a stylized senior photo session for teen girls. For women who need publicity photos for various projects - music, modeling, acting, etc. this is also a great option. 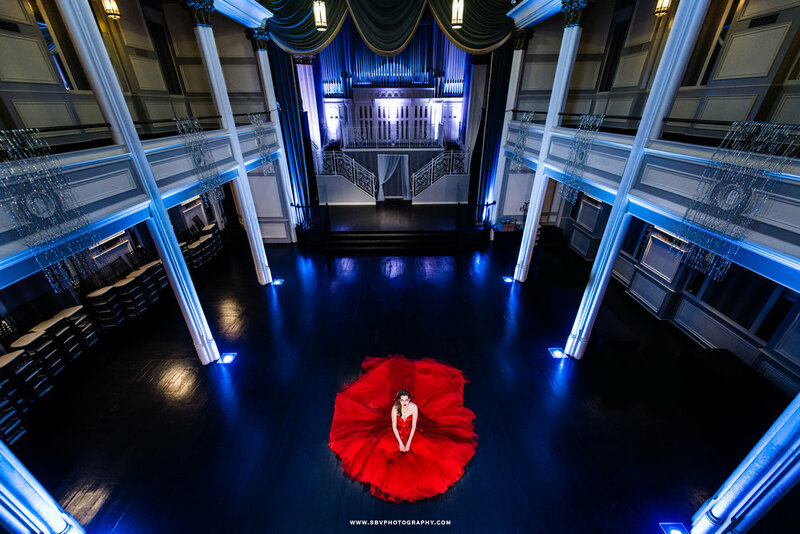 The Scarlett Obsession Gown with it's long train on the ballroom stage. These dress rentals go from simple and elegant to quite dramatic. Perhaps the Parachute Gown is right up your alley!! The Billowing Clouds Gown on stage at The Uptown Center For Performing Arts. Alex W. on stage in the Scarlett Obsession dress with blue uplighting. Long flowing train hanging down the side of the Uptown Stage. I think certain high school seniors will love the idea of a fashion themed session. Senior pictures are a once in a lifetime photo opportunity to really make a statement. Aspiring models can really take their portfolio up a notch with a professional grade shoot with gorgeous lighting and a jaw dropping gown. Fashion inspired ballroom dress photo shoot. America's Next Top Model inspired portrait session. 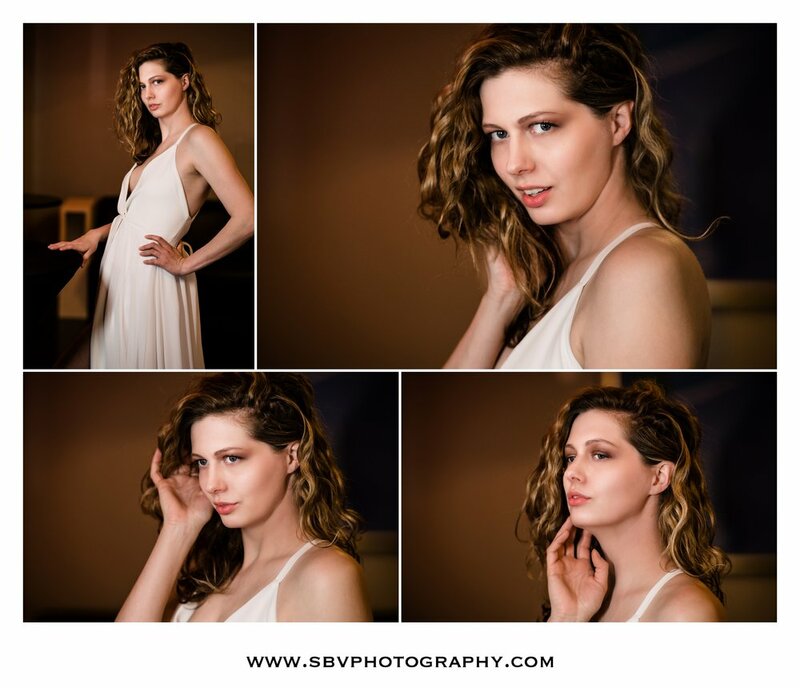 Fashion styled portraits with the Scarlett Obsession Gown. So as you plan your next Senior Session or Portrait Session, consider making a statement with a dress rental add on. Right now there are 7 styles to choose from. Simply fill out the Contact Form to set up a meeting and we can discuss your session as well as dress options and more.